There is such a thing as too much information when it comes to researching a holiday. 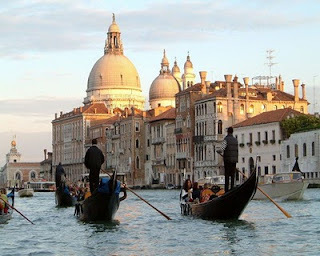 I’ve been promising myself a trip to Venice for as long as I can remember. 2011 should be the year. If I wait too much longer my desire, wallet, or knees might give out. But after a dispiriting afternoon surfing the internet, I wonder why I’ve yearned to visit the Italian city considered by some – in the summer, at least – hot, smelly, overcrowded, and poorly served by expensive bars and restaurants. Fortunately I’ve travelled widely enough to know that if I’d followed the internet prejudices of gobby travellers I would have missed more pleasures than disasters. I wouldn’t go anywhere without checking out a reputation on the net – but then a fine judgement has to be made especially when reading negative comments. You’re much more likely to go on-line when you have a beef about a hotel and/or destination than if you’ve been pleased by the same places. A disgruntled visitor may have been just unlucky; improvements may have been made in the interim; or more likely, was too hard to please. I’m just as suspicious when I read excessively glowing accounts – not so much that they’re rigged by hotels and information offices but rather the writers are entertaining a form of one-upmanship in their reports. I’ve been intrigued by Venice ever since I saw my first Canaletto - and 2011 is a biennale year for the city’s international art festival. Yet I’m still worried though that after the initial excitement of Venice’s grandeur, touring old churches would soon pall. Such is my shallowness. Location is paramount for me too. I need to be close to the centre whether it’s Times Square, the Marais, Las Ramblas, Dam Square, or Revolution Square, Havana. I doubt if I will be able to afford a hotel in Venice with a canal view. The solution I’m moving towards is to set up in Verona as a base for day trips with Venice top of the itinerary. Any thoughts would be appreciated. Only gentlemen go to Verona. The Venice Holiday Inn ? 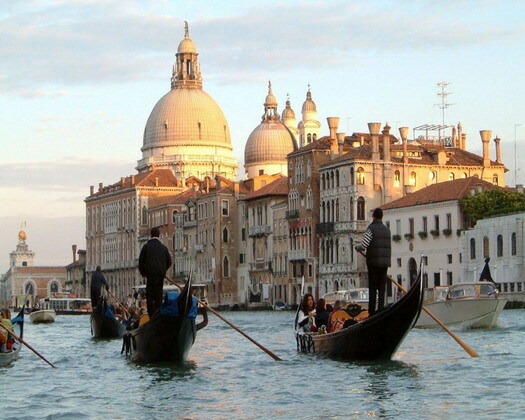 The first time I saw Venice, on the vaporetto from the airport, it took my breath away. Because suddenly, across the lagoon, it looked exactly like a Canaletto. So stay in Venice -- it is hot and crowded and full of tourists but there are reasons why we all flock to Venice and not say...oh I don't know, Basingstoke for example. The vaporetto sounds like fun. How safe is Nick Clegg's job? What happened to the world's best health service?